Finished basement features Theater room, Exercise room and family/game/billiard room! MLS#21635794. Keller Williams Indy Metro NE. Woods At Thorpe Creek - basement w/billiard room/custom bar/theater room; perfect for Game Day! MLS#21635174. F.C. Tucker Company. Calumet Farms - Walk to neighbrhd pool, playground, B-Ball courts. HSE schools. HMS HOME WARRANTY! MLS#21632622. F.C. Tucker Company. Intracoastal - Home is deeded with 2 boat docks, one of the docks for wave runners. MLS#21635743. RE/MAX Ability Plus. Links At Gray Eagle - Great time to enjoy summer fun on the patio in the fenced back yard. Home Warranty included. MLS#21635472. United Real Estate Indpls. 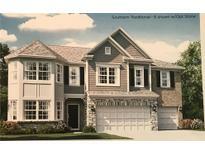 New construction by MI Homes MLS#21636009. RE/MAX Centerstone. Finished basement offers add family room & storage. MLS#21636013. F.C. Tucker Company. Ashwood - MLS#21636096. Horizon Real Estate of Indiana. Northpoint - Completely move in ready, immaculately clean and conveniently located near SR 37 in Hamilton Southeastern schools! MLS#21635977. Viewpoint Realty Group, LLC. Harrison Green - See the addenda for the broker's house sketch-no warranties or guaranties are made as to its accuracy. MLS#21635201. Spudic Real Estate Services Co.
Gatewood - This home has so much to offer, you won't want to miss it! MLS#21635663. CENTURY 21 Scheetz. 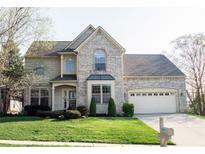 Minutes from Geist Reservior, Shopping & Dining. Schedule Your Showing Today! MLS#21635468. RE/MAX Realty Services. 2 levels of outdoor living w/perfectly maintained decks stretching across rear of home! MLS#21635135. F.C. Tucker Company. Silverton - Photos may be of a similar model w/ some upgraded options. MLS#21635846. Berkshire Hathaway Home. Haig Point - Perfect location, close to retail shops and interstate access. MLS#21633457. F.C. Tucker Company. 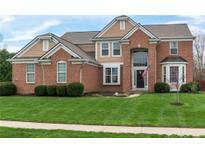 Woods At Geist Overlook - Incredibly landscaped yard that you must see! Includes all kitchen appliances. MLS#21635637. Vital Equity Realty, LLC. Brand new driveway, paint, lighting - a true MUST SEE! See list of updates attached! MLS#21634864. Keller Williams Indy Metro NE. Sunblest Farms - Basement offers a large entertaining space and a hard to find poured concrete crawl space and basement allows for worry free maintenance and great storage. MLS#21635509. Keller Williams Indy Metro NE. 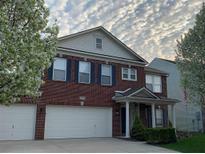 Woods At Geist Overlook - Step away from Fishers many community amenities. MLS#21635771. Value Realty Services LLC. Limestone Springs - This home has a floor plan that utilizes all of the 2,886 sq. footage. MLS#21635380. Front Porch Real Estate, LLC. Sumerlin Trails - Enjoy the neighborhood walking trails and the nature area. MLS#21633478. F.C. Tucker Company. Brooks Chase - Conveniently located in northern Fishers minutes to Hamilton Town Center Simon Mall, I-69 & I-37 for quick commuting & nearby amenity lifestyle. MLS#21635286. M.S. Woods Real Estate, LLC. 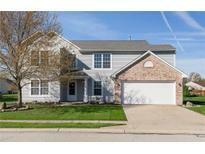 Cottingham Estates - Walk to several n hood parks. 1 year HSA home warranty. MLS#21632453. CENTURY 21 Scheetz.